Bengaluru-based multimedia artist, Shilo Shiv Suleman and her art are almost everywhere, be it the Burning Man festival or NH7 Weekender. 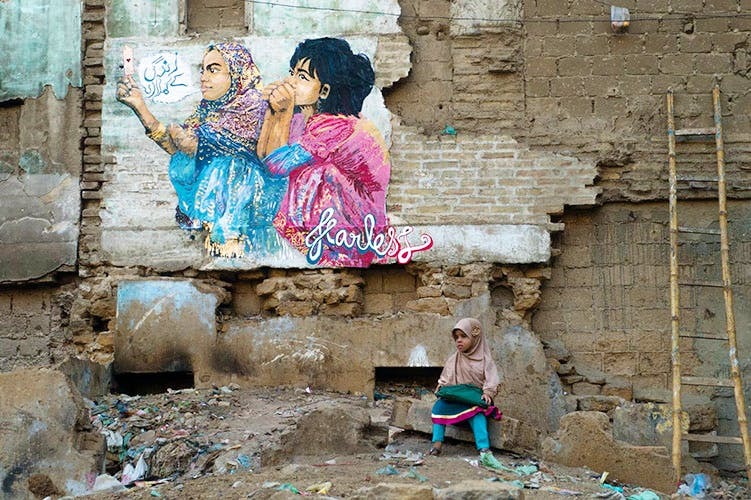 Her art has spread through books on the streets of India and Nepal and now to, Karachi, Lahore and Rawalpindi. What started out as a way of talking about gender equality and rights post the Nirbhaya incident in India, has now become a phenomenon. Fearless Collective is a three-year-old project that partners with NGOs and holds workshops with local people and communities. They try to understand the issues that people face, and make murals in a very collaborative way. Read the full interview with Vogue here.